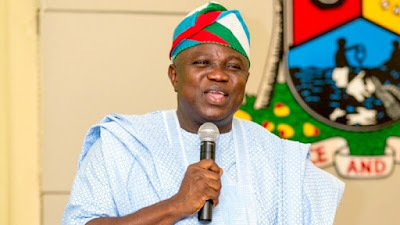 The Lagos State House of Assembly on Monday debunked speculations that it was plotting to impeach Governor Akinwunmi Ambode. Speaking on the floor of the house at the beginning of plenary, the Speaker, Mudashiru Obasa, said there was no truth in the rumour. Mr Obasa said he received telephone calls and enquiries from prominent members of the public over the rumoured impeachment moves against Mr Ambode. According to him, the Solidarity Group of Nigeria and a faction of the APC in Lagos State, led by one Fuad Oki has been insinuating that lawmakers in the state are threatening Mr Ambode to open the state’s treasury. The speaker, who noted that the rumour had it that the house was planning to impeach the governor if he failed to open the treasury, said it was a lie. “We are not embarking on any impeachment process against the governor now. “If there would be an impeachment, it would be from the governor and if there would not be any need for impeachment, it would be from him, based on his actions. “So, nobody can threaten us if it happens because we are representatives of the people. “We don’t need the wailers to guide us in performing our duties. It is not out of place for us to do our job,” Mr Obasa said. The speaker added that if there was going to be an impeachment, it would be done in the open, noting however, that there was nothing like that for now. He added that the populace would be informed would be informed if impeachment of the governor would happen. According to him, the assembly has been working with the governor to ensure peace and development in Lagos State.